A Masters degree program is not just a continuation of an undergraduate program. You are going to specialize in a particular subject field; hence it’s a process of acculturation. While an undergraduate degree provides you a range of potential jobs, a Masters degree will put you on a specific track. So, it can certainly increase your job prospects in a niche domain. Within your Master’s program, the project or thesis component is extremely important. It is what you have to show for your time in a masters degree program; especially, if you don’t have any work experience. In this post, we will look into how to choose a Masters Degree Project topic. The thesis or project tell the employer what you can bring to the table. More often than not, you will be ask to describe your dissertation project during your job interview. Even in with that, your dissertation project played a vital role to make you an Ideal candidate for employment. Does the topic reflect my passion/interest? Does the topic fit in my area, field, forte? Does the topic and associated process of writing and experimenting seem viable, feasible, and worthwhile? Are there some theories that you do not want to work with anyone? What kind of method do you like to use when doing research? What are your career goals when you finish your degree? With what kind of data do you enjoy working? Do you have idea for specific data, text, or artifacts you would like to study? Are there resources to which you have access that could provide data for your study? Is there someone you know who could give you access to these kind of resources? If you have correct answers to the above questions, then you should be able to choose your master degree project topic like a pro. To be honest, there is no bad or wrong Masters degree project per se. However, a strategic project selection could influence your career trajectory in many ways. A Masters degree dissertation might not provide you the opportunity to conduct groundbreaking research. However, a Masters degree is an ideal opportunity to establish your domain expertise and showcase your technical and soft skills. 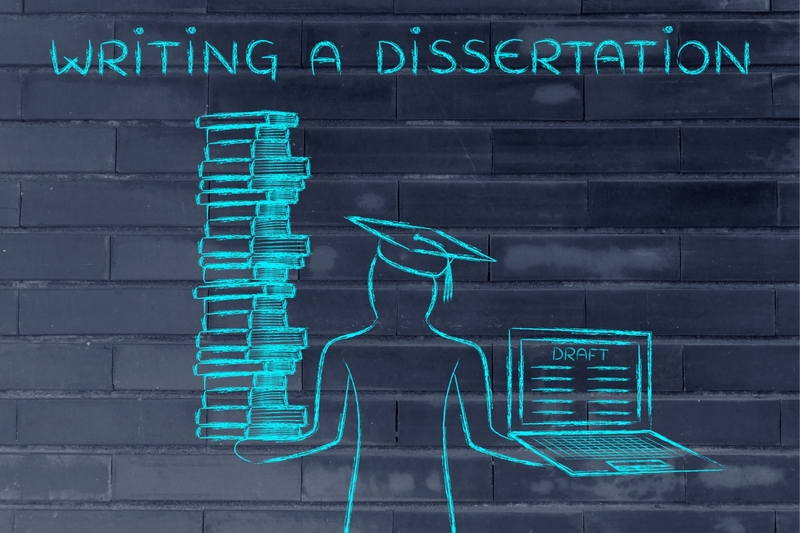 Employers take a very close look at the dissertation topic, and so you should be considerate enough before choosing your project. 1. Pick a topic that can be done quickly. It’s not a Ph.D. thesis; so you’re not going to have 4 – 5 years to do your research. Every topic expands as you start writing, so pick something concise. A Masters thesis is a competency test and not a professional standard. 2. Evaluate the job market. Have a look what technical skills are being asked by the employers in your field. You have to realize that though grades are important, employers hardly care about the grades; especially when you have done a Masters degree. If your research is good enough and your grades aren’t too low, then you have nothing to worry about. It would be wise if you spend your time getting some quality work experience along with a Grade B, rather than earning grade A with no work experience. 3. You need to be passionate about the project. If you are not excited about the topic, then you might struggle to finish it off, and even fail in the long run. So, pick something that you like. After all, you will need to sell it when you interview for jobs or Ph.D. programs. When you demonstrate excitement about your dissertation thesis, you basically demonstrate your engagement and passion about the field of study. This will help during your interviews. 4. Ask around and take feedback. Talk to your potential supervisor, personal tutor, and course coordinator. During your thesis, you will work with a supervisor or adviser. Besides, you will also have a personal tutor and course coordinator around you. If you have problems coming up with a thesis topic, sit down with your advisor, personal tutor, and course director and talk about your interests. It could be also a good idea to visit the Careers Services, and speak to the career advisers and / or counselors. Their feedback will surely provide you some good topics that are best for you. 5. Identify your career trajectory. Choose a topic that creates a trajectory. You don’t need to necessarily take it, but you can keep your options open. It is not practical for everyone to find a topic that they will enjoy for 3 – 6 years. Besides, not everyone wants to do a Ph.D. However, it won’t hurt to have the option open. Even if you wish to opt for an MBA after few years of job, this can again help you with your MBA applications and admission process. Though grades are important, do you believe that employers hardly care about the grades these days? Let me know in the comment below, what you think about choosing a masters degree thesis topic to improve your employability.